Translating InDesign publications can be complicated and expensive. The standard procedure for multilingual DTP projects involves extracting the content, translating it in Word and then putting the translated text back into InDesign. The process is complex, costly and slow, and can be fraught with stumbling blocks and errors. AlfaBeta uses specialized software to solve the problem of translating magazines, books, catalogues and manuals already formatted with numbered pages. We can work directly in IDML (InDesign Markup Language), reducing production time and costs and preventing numerous errors. Layout is adapted directly by the linguists to provide the client with a complete final product that doesn’t require revision by graphic designers or proofreaders. 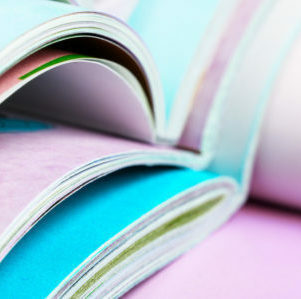 We work with publishing companies to publish print books, e-books and international magazines. With our InDesign file translation service, companies of all sizes can also translate advertising and marketing materials such as product catalogues and brochures. Technical manuals (user manuals, installation manuals, etc.) are also well-suited to this process. 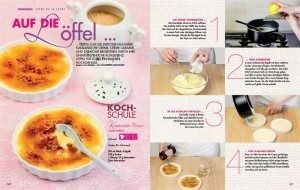 AlfaBeta handles the German-language edition of the magazine Alice Cucina. With our turnkey solution, the client can count on our complete editorial team (translators, editors, graphic designers and project manager). Using cutting-edge technology, we can complete the entire process, from translation to final checking of the proofs, in 4 weeks.